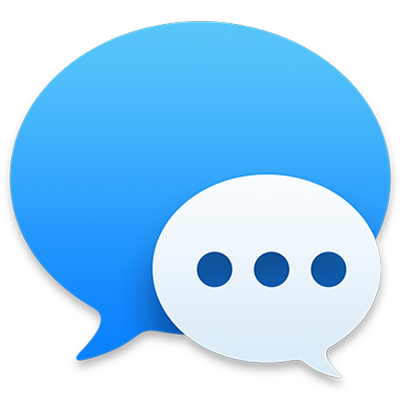 If your friends use iPhone, iPad, iPod touch or a Mac, you can send them unlimited text messages using iMessage. Include photos (even Live Photos), audio clips and any other type of file you can imagine. 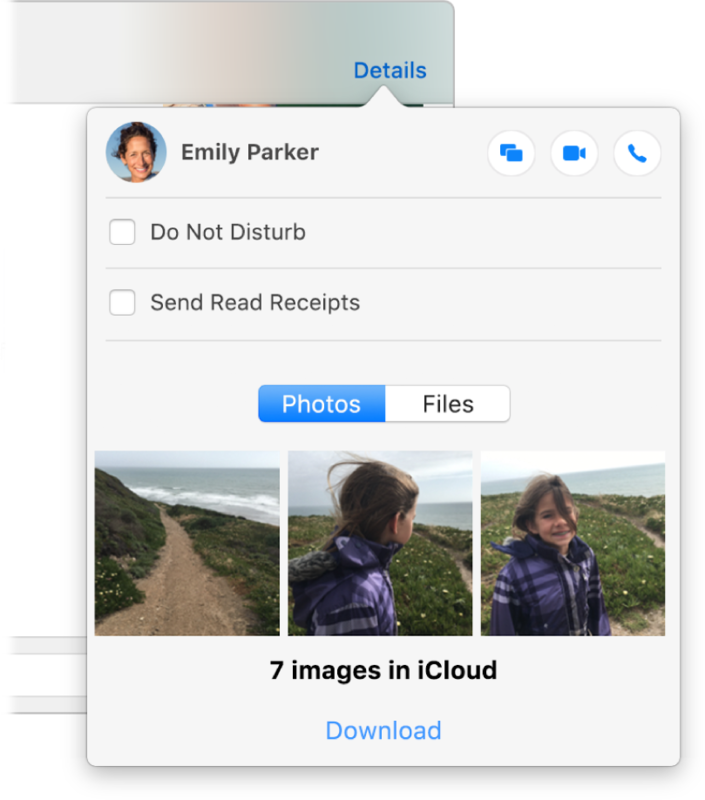 If you have an iPhone, you can send SMS texts to anyone with any device, right from Messages on your Mac. 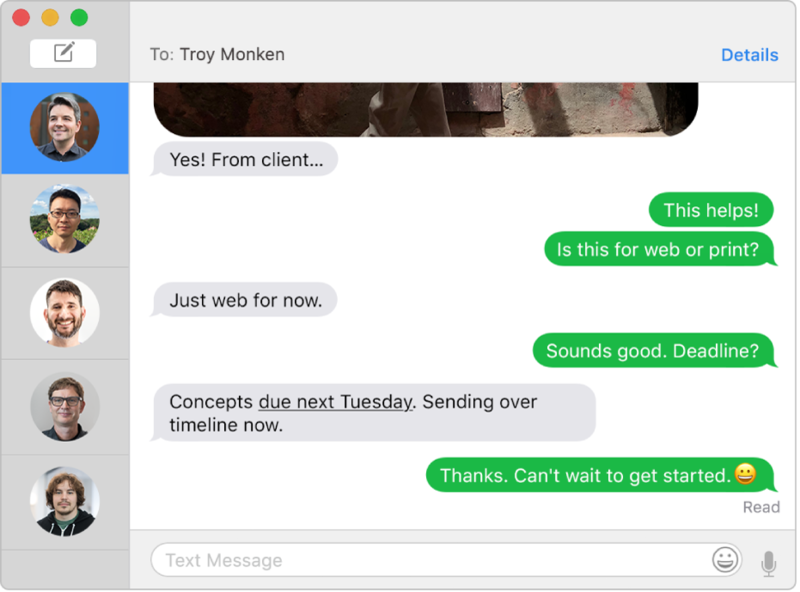 When they text you back, you don’t have to jump up to get your iPhone – just reply on your Mac. 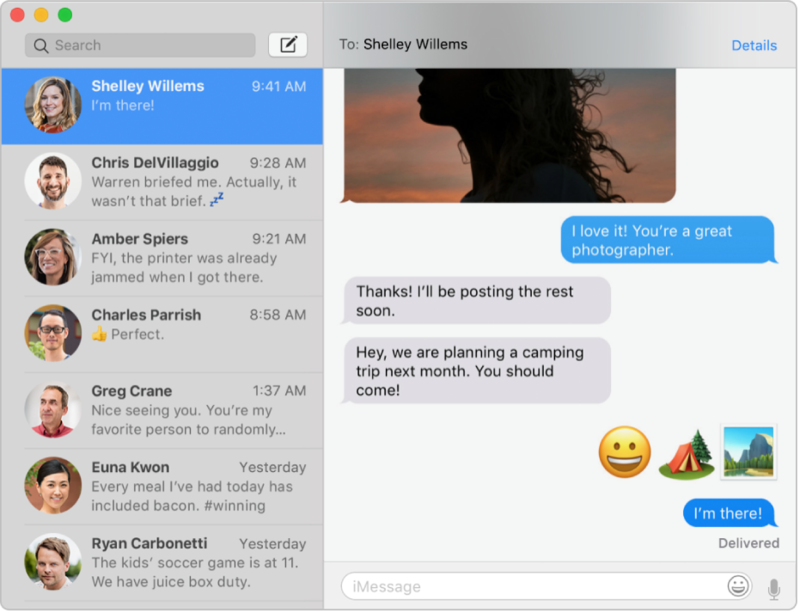 If you’re in the mood to talk with your friends face-to-face, or share your screen with someone, you can do it from Details view in a conversation. To browse the Messages User Guide, click Table of Contents at the top of the page. If you need more help, visit the Messages Support website.